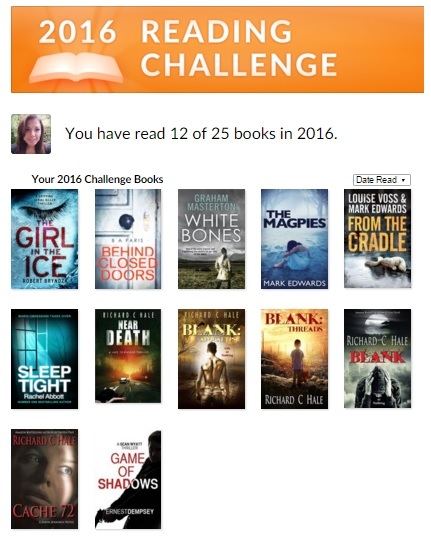 So I thought I would do another Goodreads reading challenge using Goodreads (a website to record the books you have read and review them, also great to discover other books) again this year. Last year I didn’t quite manage to hit my target, I got 23 out of 25. Even though I am a little bit disappointed that I didn’t quite hit my target, I am also happy with the amount I read. I like to read but never really get much chance to and then just kind of forget as life just seems to get in the way. So I have probably never read that many books in a year before! 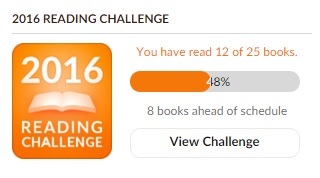 So since getting my kindle and using Goodreads to keep track of what I read, I have had a lot more motivation. This year I have decided to set my challenge to 25 again, lets see if I can actually hit my target this year!! I have actually done pretty well so far this year, considering it is only just March. So here are the books I have read so far. As you can see I have managed to read 12 books so far! I’m not actually sure how I managed to do that, but hey I’m quite pleased as this means I am apparently 8 books ahead of target. Four of the books I have read are by author Richard C Hale who I discovered after I read his book ‘Frozen Past’ and became hooked as it involved murder suspense. I have thoroughly enjoyed his books and his series Blank were not my usual type I go for, but they were full of twists and turns and a roller coaster of emotions as it followed the life of a boy/man with no face! Sounds strange but it is definitely worth a read, I was pleasantly surprised so I highly recommend checking out his books. I really enjoy Thriller/Suspense books and Crime novels, I am always on the look out for new authors to try. I am a big fan of Tess Gerritsen and I am currently reading one of her books ‘Die Again’. Tess Gerritsen is a fantastic author and I have been a big fan for many years, I always enjoy reading her books. In case anyone was interested in what books I actually managed to read last year here is a list of them. Lets see if I can complete this years challenge, hopefully I will as I have done a good start so far! 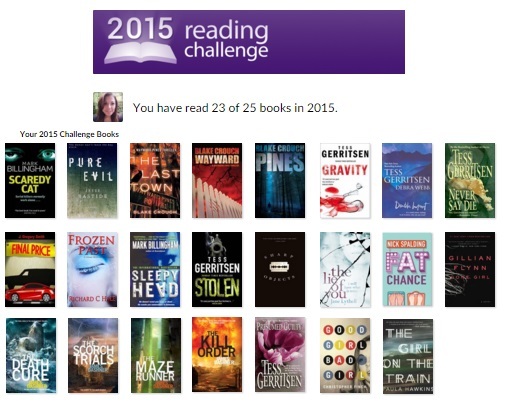 Have you set yourself a Goodreads reading challenge this year, or maybe wanting to read more? What books have you read so far and what would you recommend?